After long shifts in the studio, London techno engineer Tom Russell AKA Truss drops a few new releases this spring. 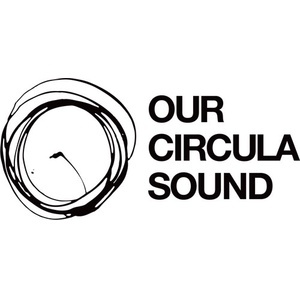 A four-tracker is the first of a two-part EP on Our Circula Sound. The track title “Clytha” might derive from a distant star, or an area in Wales. Despite of being short of three minutes, the track with a sneaking drone and slow-stepping fat rhythm is like a theme song for an Utopian movie. Knobs are turned for heavier impact in the remix of “Clytha” by T47 AKA Tommy Four Seven. Oppressing by nature, it’s built on a slowly accelerating vibrating hum and distorted bass, which grows into ritualistic whipping. “Love the fact he’s stuck to a waltz with “Clytha”, although it makes it a bit of a nightmare to mix”, Truss has said. If I may ask, Emptyset and Ancient Methods could extend the list of remixers here. Other two cuts are efficient big room tools. “Auden” is remixed by Svreca and unmistakably sounding like Semantica techno, running on a monotone loop and steaming hiss. Techno fans are indulged also in “Beacon”, a straightforward banger with dominant bass slap and mutated acid line. Prepare for a ride.